In wings3d the holes of the geometry models you can see like “hole material” (blue). But In blender the holes you don’t see. In wings3d you can eliminate the holes changing the hole material by the default material. 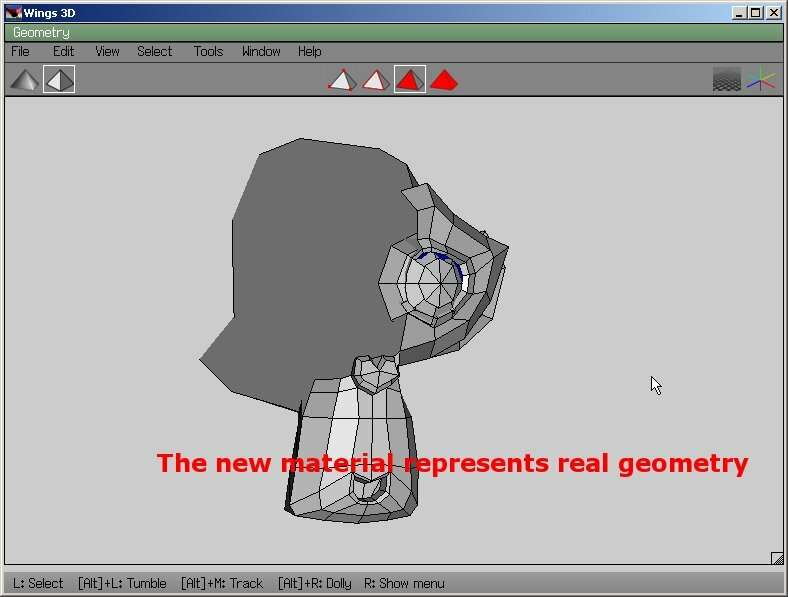 But in blender, I think that the only way to eliminate the holes of a geometry model is creating the faces that lack. Is it true? 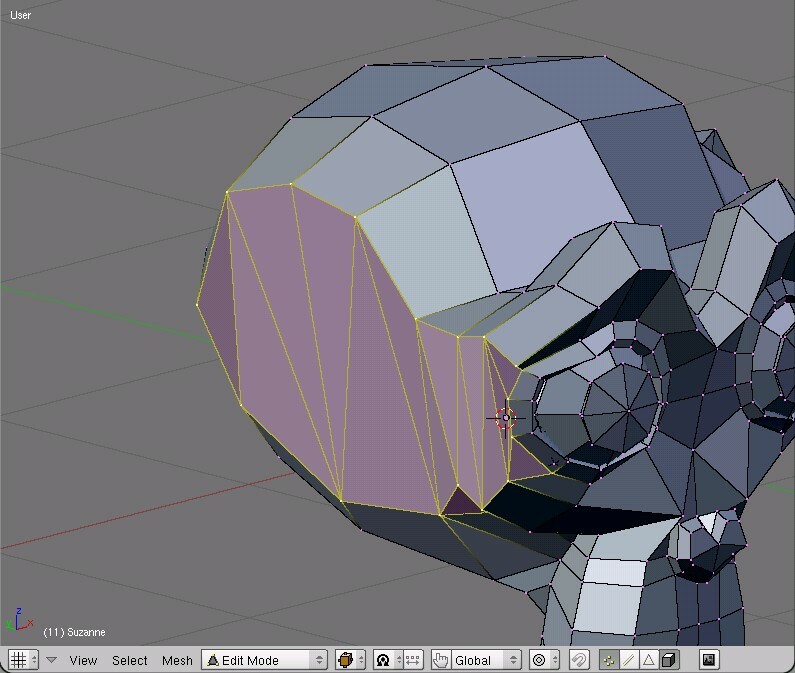 There is a fast way to eliminate the holes of the geometry in Blender? What does the “hole” material do? If you want to see all holes: Deselect everything, switch to edge mode, select “Non-manifold” (one of those extremely easy to remember keyboard shortcuts… or in the select menu). Press F to fill. I have tried to fill but doesn’t work. 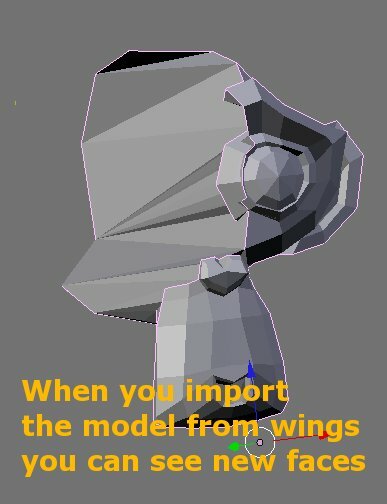 The wings way permits to fill when you change the material. 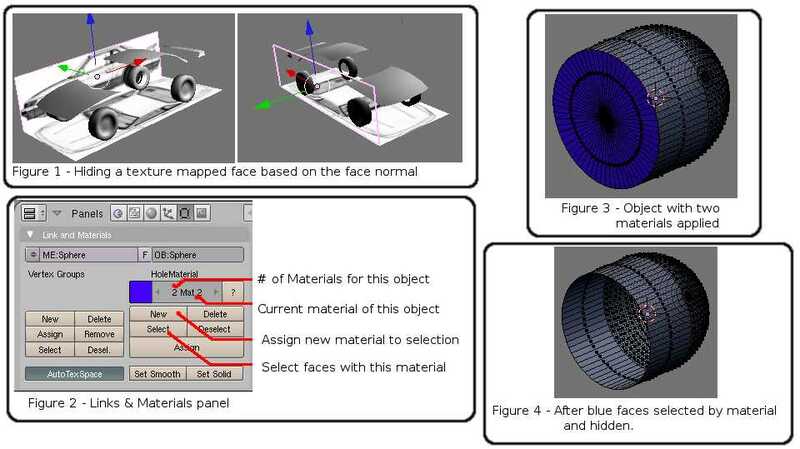 For example: In the images 1 and 2 the material blue is the “hole material”, but in the 3 and 4 the material is the “default”. 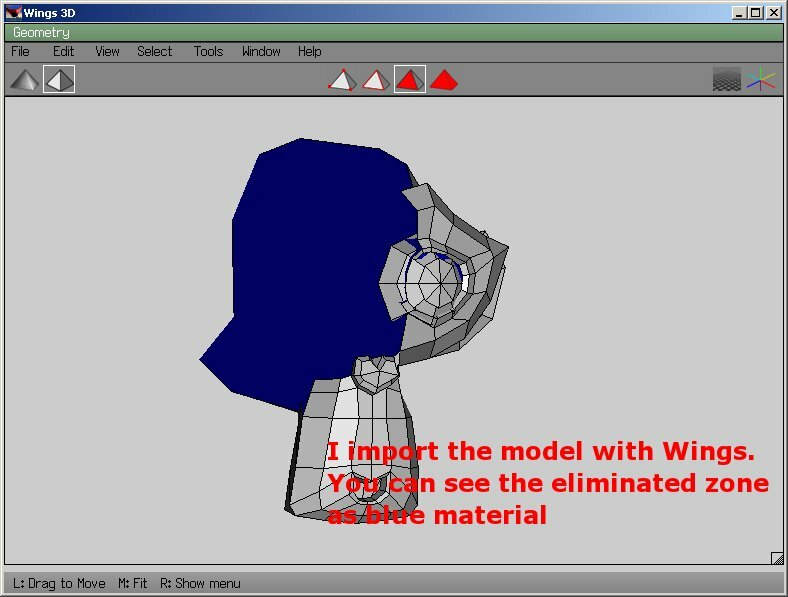 Well, if you just want the faces to be invisible in the viewport when editing, there’s 2 ways of going about this task. The second method may be achieved using the following steps. e. Select faces you wish to assign the ‘hole material’. f. Again, press the “New” button. g. Hit f5 and change the colour of this material for clarity. h. Deselect all faces. You should now have an object that resembles that shown in figure 3.
i. 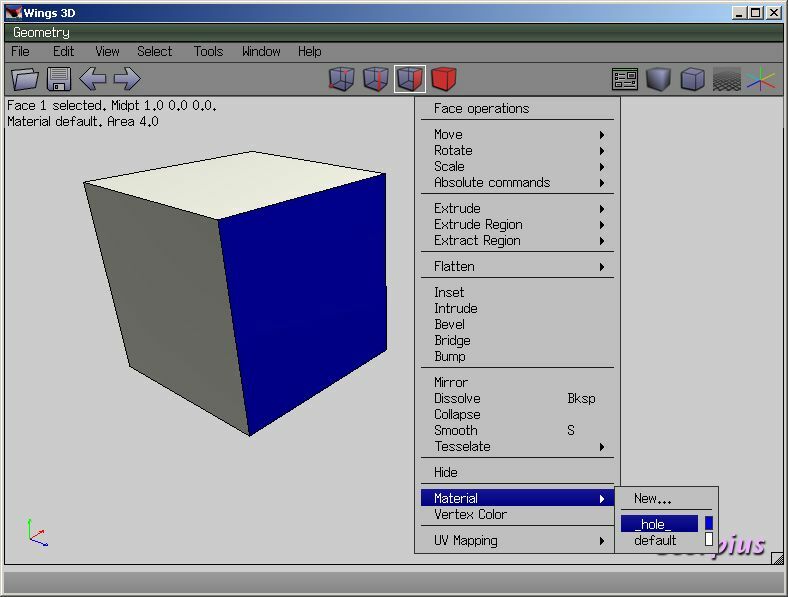 Hit f9 and press “Select” as shown in figure 2 - this will select all of the faces shown in blue in figure 3.
k. Hitting “alt-h” will unhide the faces again. 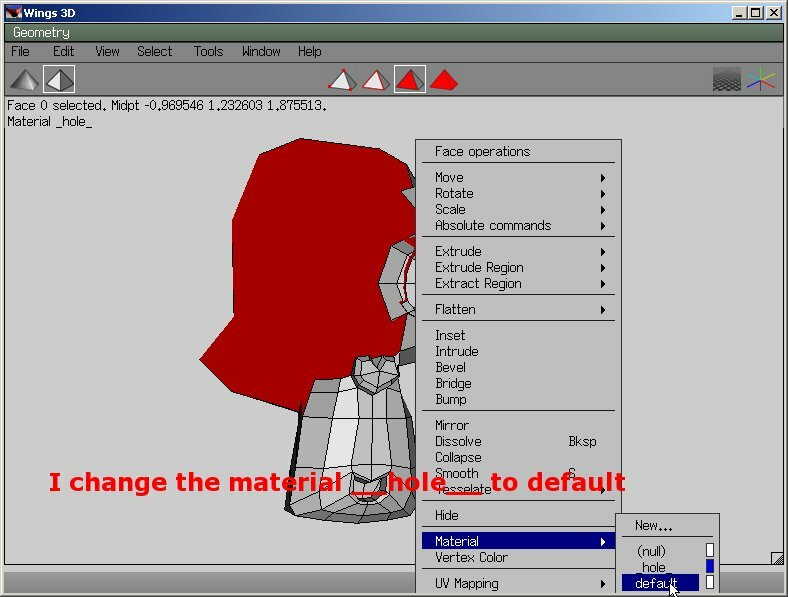 be hidden/unhidden very easily - you only need to manually select the faces to be hidden once. 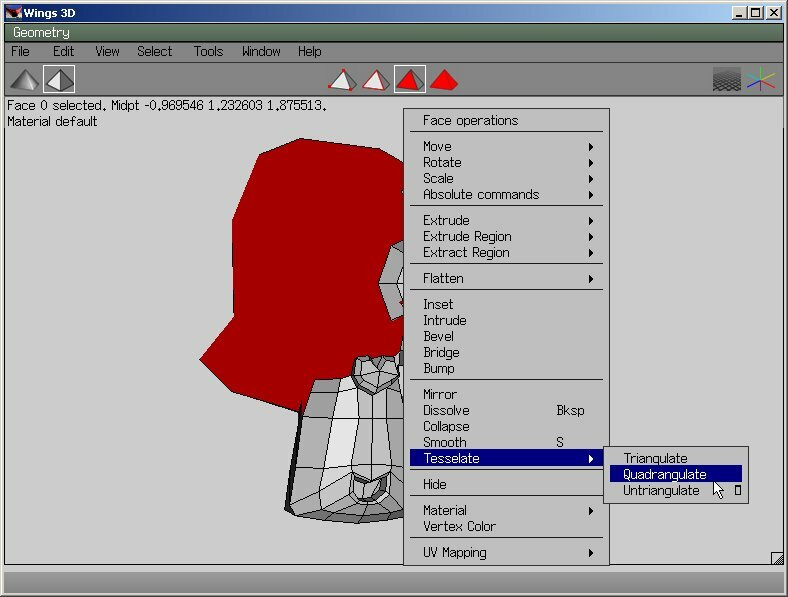 After that, you can select the material then press the select button and all of those faces will be selected again, ready to be hidden. E.g - all of the black faces on a chess board, the rubber strip that runs around a tennis ball, etc, etc. Thank you enhzflep for you post. Thank you for you time that you have spent to write the post. And don’t know that fast and productive way to show/hide faces. But my question is about how “create” instead of “hide” faces. 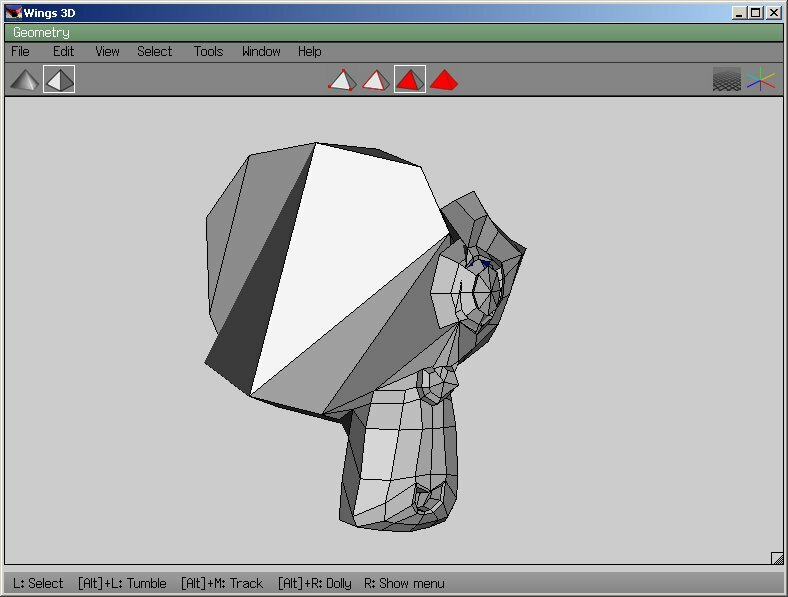 For example, if you create a monkey in Blender and delete some vertex. And you import it in Wings3D you will see as blue material the eliminated zone. That zone is selectable and you can change the material, and with that way you obtain new faces. Even in wings you can tesselate the “hole material”. I know that this is a blender forum. 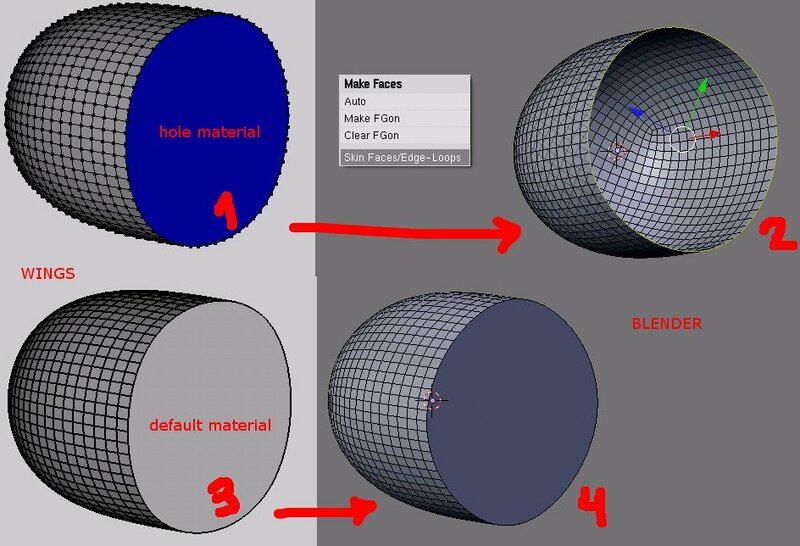 For that reason my question is if is there any way in Blender to create faces from holes. I have tried to fill but doesn’t work. Press F to fill if there are 4 or less vertices, press Shift F to fill your example with the cup thing. Alt F “beautifies”, and Control F rotates each edge. Oh yes, yes, it was so easy!! Thanks!! That’s a pretty neat feature that Wings has - and so’s the Shift-F thing in Blender, thank-you very much Orinoco & egan. All of this info is very much appreciated. Wings is meant to be a box modeler. It creates only ‘solid’ objects. 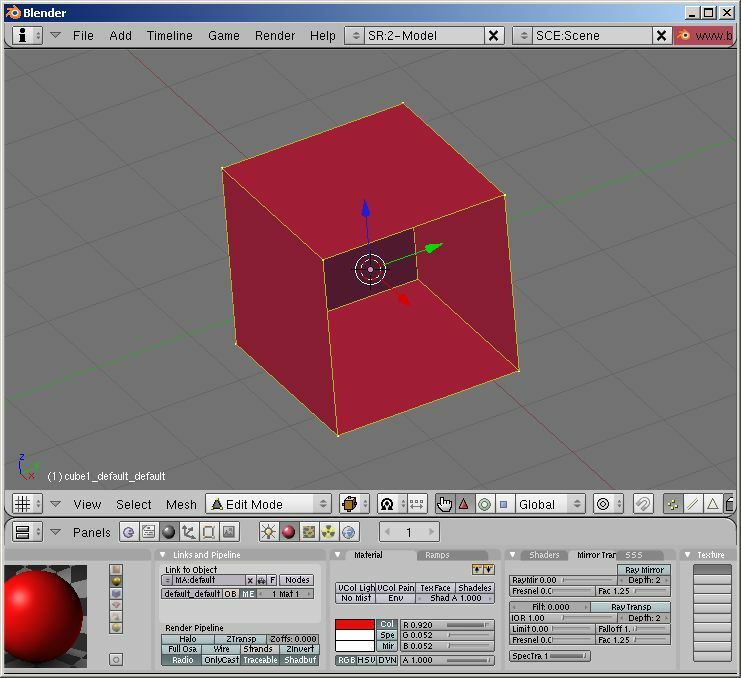 For example if you wanted to make a simple ‘stage’ prop ( an elongated cube with the no front face) the only way to do it in Wings is to apply the “hole” material. The exporters remove the “hole” material so you end up with your ‘stage’. So you aren’t supposed to be filling in “hole” and if the Wings importer in Blender is doing this it should be fixed (or people could just remember to delete the faces the “hole” material is assigned to).